Tee ball is such a great way to get your child started playing baseball. 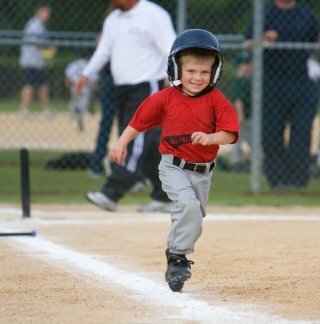 It is a safe and fun game that gives every player a chance to hit and run the bases. In most tee ball leagues the rules are pretty lax and no score is kept. Ages for the leagues vary from three year olds all the way to seven years old. Leagues will usually split up the ages in two different groups, with maybe different rules for the younger league and the older league. And it is not unusual to see the teams having both girls and boys. Usually every player is in the lineup and gets a chance to bat. And batting is the fun thing to do and watch. The umpire will say “Play Ball” and then you never know what to expect. Some batters will lean back and swing just as hard as they can. The result on the first swing like this is usually the bat missing the ball by six inches, or hitting the tee and knocking the ball off. 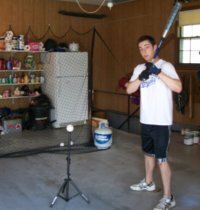 Other batters will swing so slowly when they hit the ball is just barely falls off the tee. There is usually a line drawn that the ball must cross before it is declared a hit. And if you are surprised at how the batter swings the bat, then you are in for a treat when they run the bases. My first game coaching t ball, the first batter hit the ball and then ran over and hugged his mom before running to first. Yes, that is how special tee ball really is. Or maybe you will get the chance to see a batter hit the ball and run to third. Yep,I have seen that one. In the field with the younger ages not much fielding actually happens. 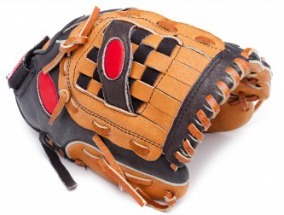 Most tee ball players have not mastered throwing and catching the ball. You might get the occasional player stopping the ball and stepping on a base. But that is about all the outs to expect. When they reach six and seven they will be a little more advanced and some will be able to play catch. There might even be a few plays where the pitcher picks up a ground ball and throws to first. And the first baseman might even make the catch. 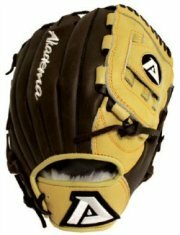 Your child is going to need a glove. It doesn’t need to be anything special or expensive. In fact, a used glove is the best choice. Ask around or check out some garage sales. Anybody with an older child may have everything you need. Next on the priority list would be a batting helmet. For health reasons it’s a good idea for your child to have their own helmet. Next in line would be a bat. Again. A used bat will work great. T ball bats are usually around 27 or 28 inches long. It depends on the size of your child. In some leagues the only parts of the uniform that are provided is the cap and a t shirt. In these league tennis shoes are probably ok to wear. In a league where the whole uniform is provided, baseball cleats may be the option. I would check with your coach before buying them. And again, these shoes aren’t worn that much, so a used pair should work just fine. One last thing to talk about. 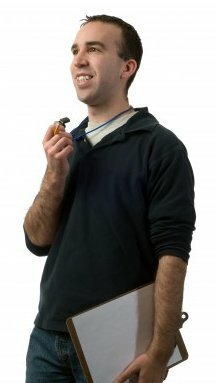 Tee ball leagues are always looking for coaches. If you have ever consider coaching a team, this is a great opportunity to do that. T ball is pretty laid back, even for those dads that just know there is a surefire future major league player. Tee ball is a game both you and your child can enjoy. Would you like to try it but just worried you wouldn’t know what to do? No problem, I have written a detailed, step by step instructional book for new t ball coaches. This inexpensive eBook is available for immediate download. 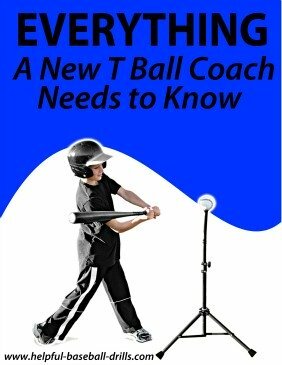 Just click and have a look, Everything a New T Ball Coach Needs to Know. Good luck to you and your child.